Norman W. Drummond, C.B.E., was Headmaster of Loretto from 1984 to 1995 and is an Honorary Member of the Lorettonian Society. Educated at Merchiston, Cambridge University and then New College, Edinburgh, he was a Chaplain in The Parachute Regiment and The Black Watch for six years and then Chaplain at Fettes for two years before his appointment as Headmaster of Loretto at the age of 32. On leaving Loretto he was for two years a Parish Minister in Skye. He has been a Governor of Gordonstoun School and Chairman of the Governors of Aiglon College, Switzerland. During that time and since he has been busy in many aspects of education and with charities connected with education and leadership. In particular he founded the charity Columba 1400, which works with young people to enable them to fulfil their leadership potential. Sheila (nee Mackie) was in the first intake of girls to Loretto, a somewhat daunting undertaking but one which cemented lifelong friendship! Following the completion of a law degree Aberdeen University, Sheila embarked on a varied career across several finance related sectors including venture capital, investment management and corporate finance. Sheila initially joined the Board of Loretto aged 29 and served for a total of 16 years – with a short break in the middle for good behavior! She is also a former Chairman of the Lorettonian Society. For the past 6 years she has worked alongside two fellow OLs in a commercial property investment and development company in Edinburgh. She has held numerous non-executive director roles throughout her career and is currently a non executive director of an insurance broker. Borland Insurance, and sits on the board of Scottish Business UK. Sheila has also pursued a political career and has stood as a candidate at 2 General Elections. Sheila lives in East Lothian with her husband, Will, and 4 children aged 24 to 15. Interestingly, the house, overlooking the 8th green on North Berwick West Links, was built for another OL, John Laidlay, who was the amateur champion golfer in 1889. Sheila enjoys playing golf and tennis and is a regular attendee at OL events. William Durran attended both the Nippers and the Upper School in the years 1945 to 1955, finishing his time as Head of School. After a degree in Physics at Cambridge he had two years industrial experience with The United Steel Companies before his first teaching post at Wellington College, Berkshire. He returned to Loretto as Head of Science in 1967 and remained at Loretto until retiring in 1996, during which he was Housemaster of Seton for 16 years and Vicegerent for 11 years. He took on the task of Keeper of the Loretto Register before retiring and has remained in that role since then. This has given him the pleasure of keeping in close touch with Lorettonians of all ages and with the School. His chief pleasures outside Loretto have been his family, motor-homing and choral singing for over 40 years with his wife Janet in the Edinburgh Festival Chorus. Gavin McDowall was educated at Barnard Castle School and read Mechanical Sciences at Cambridge (Downing College). He worked with Metrovicks/AEI in Manchester then taught on the Isle of Wight for two years before joining Loretto in 1966 to teach Physics. He was House Tutor in Pinkie from 1967 until 1974 when he followed Chris Barclay Smith as Housemaster of School House until 1989, returning to Pinkie a visiting tutor until he retired from Loretto in 1996. He served in the CCF for 30 years (including 7 years as OC CCF) latterly being i/c RN Section and he was in charge of the sailing at Fisherrow for the same time. His involvement in the Musselburgh community has included serving as Chairman of Musselburgh Round Table, Commodore of Fisherrow YC for 7 years, President of the Old Musselburgh Club and is also on the Musselburgh Conservation Society committee. He was Secretary of the Lorettonian Society for twenty years from 1989-2009. In retirement he has visited most European countries in his campervan. Richard was educated at West Buckland School (where his Housemaster was Hon OL, John H. Armstrong) and graduated B.Ed. (Econ.) from the University of Exeter. Richard taught at Milton Abbey before coming to Loretto in 1979 to teach Economics. He became Head of Business Studies and was a popular Housemaster of Hope House from 1983 to 89. Richard’s many other roles included Higher Education Advisor (1989-95), Director of Studies (1995-96), Vicegerent (1996-2009) and Head of Admissions and Marketing (1999-2000). One of his great passions is cricket and he ran the XI for many years. He was Acting Headmaster during the interregnum between Keith Budge and Michael Mavor from Autumn 2000 to Spring 2001. Richard was then appointed Headmaster, of the Nippers and retired in 2009. He is married to Elaine Logan (Hon), who taught at Loretto from 2001until her appointment as Warden of Glenalmond College from September 2015. William (Bill) Frain-Bell OL was born in Dumfries in 1971 and left Loretto in 1989 (Schoolhouse). He is the current Chairman of The Lorettonian Society. A graduate of St Andrews (MA) and Aberdeen (LLB) Universities, Bill qualified as a solicitor with Tods Murray WS in Edinburgh in 1998 before calling to the Bar, firstly as an advocate (1999) and then as a barrister (2000). He practises from Terra Firma Chambers in Edinburgh and Thomas More Chambers in London. Bill specialises in international arbitration, mostly in the UAE but also in Europe and Africa. He is also a Chartered Arbitrator and accredited CEDR Mediator. A keen yachtsman and skier when time allows, Bill is married with two young children and divides his time between Edinburgh and London. Charlie Craig was born in Dumbarton in 1968 and left Loretto in 1987 (Pinkie). He graduated (MA Hons) from Aberdeen University and spent the first 8 years of his career in Asia and London managing the outsourced recruitment operations for a global investment bank. Back in Scotland he talked his way into becoming the Operations Director of a successful craft brewery where he was responsible for all aspects of the business. He left there in 2011 and he now runs his own management consultancy advising SME’s on how to maximise their buying power and reduce their costs. Still trying to play cricket and tennis but now spends more time beside a hockey or rugby pitch, with his wife Fiona, supporting his daughter (who joined Loretto in the Third form in autumn 2015) and two sons. After leaving Loretto in 1964, Colin commenced his CA training in Edinburgh and on qualifying in 1969 he joined Shell Chemicals UK Ltd occupying a number of different positions both in the UK and abroad (including Nigeria, Qatar, Kenya, Colombia and Italy) over the next 25 years. He met his wife to be, Willa, while working in Doha where Willa was the secretary to the British Ambassador. They married in Doha in 1974 and have three children, twins Fiona and Amy and son Duncan (also an OL) all of whom are now married and have provided Colin & Willa with 5 beautiful grandchildren. Colin’s stint with Shell was followed by a number of years working with Victor Wood (OL) and latterly Tim Wood (OL) as Finance Director of McInroy & Wood Ltd., a personal investment management company based in Haddington. Colin is now happily retired and living in East Linton enjoying the freedom to travel, again, and attempting, mostly unsuccessfully, to improve his golf handicap. He is involved with the local community and has enjoyed the opportunity to renew his acquaintance with Loretto School in his capacity as Treasurer of the Lorettonian Society over the past years. Neil has been on the Executive Committee for the past two years. Although Neil has been based in England since leaving school he has maintained links with the school and for the last five years has been a regular attendee at Annual Dinners and London based events. He contributes at the AGM’s and has provided “virtual” email contributions to various committee meetings. 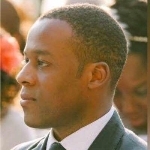 Neil has worked in Human Resources in the public sector in London for over 15 years and set up his own people management consultancy business in 2012. Neil works predominantly now in the Higher Education sector advising Universities on change and transformation projects. Neil lives in Essex and has four children ranging from ages 8 to 22, in his spare time (when he has some!) Neil does triathlons and completed a half iron man last year. Alistair was born in London in 1970 but grew up in Gullane, attending both the Nippers and Upper School, from 1980-88. After a brief skirmish with the British army he went to Cardiff University to study Sports Science and Management going on to work in London with Advantage Sports Management. In 1993 he returned to Scotland to co-found and run Edinburgh Provisions Ltd, an award winning Scottish food manufacturing company. He exited the business in 2003 and took a year out to fish for trout down through Patagonia and New Zealand. Returning in 2005 he became Director for the Development of Country Sports Tourism in Scotland before getting involved in leadership and change management with the Pacific Institute UK. He has an MSc in Performance Psychology from the University of Edinburgh and now runs his own leadership and change consultancy, CultureUp Ltd. He is also a recent co-founder and Director of Entrepreneur IQ LLP, a diagnostics business evaluating human capital talent for venture capital and private equity firms. Alistair is married to Annie and they have two boys Maximilian (3) and Lucas (9 mths). When time allows he enjoys playing golf and fishing which doesn’t happen that much at the moment! Graham has sat on the Executive Committee since 2012. He lives with his wife, Janet, and children Emily (10) and Matthew (6) in Aberdour in Fife. They really enjoy being able to bring up their kids in such a nice village while not being too far away from Edinburgh and Elie, where Graham is originally from and where he still plays golf when time allows. Other activities include some sort of challenge every year. In 2015, it was the Edinburgh Marathon at the end of which, he has never been so pleased to see Musselburgh and the finish line! Graham works for Executive Search firm FWB Park Brown in the west end of Edinburgh and sees numerous OL's and ex-members of the Common Room frequently. Emma joined the committee in 2018 having previously worked as Membership Co-ordinator from 2009 until 2017. In her spare time she enjoys reading, theatre, socialising and Pilates. Emma is married to Ian (1985) and they have two sons, Christopher (2015) and Matthew (2017). Ian and Emma currently split their time between Toronto and North Berwick. Any OLs travelling through Toronto are invited to get in touch. On leaving Loretto (1966) studied Chemical Engineering at Birmingham University followed by 3 years at ICI Fibres in Harrogate for 3 years then returned to study at London Business School for 2 years MBA. Iain is still living in Hong Kong and although he has now given up rugby refereeing is still heavily involved in golf in Hong Kong and around the Region. As well as Iain there is still a good group of OLs resident in Hong Kong so if anyone is passing through Hong Kong wither it be for business or pleasure be sure to let us know and I am sure we will be able to gather a few OLs together to show some Hong Kong hospitality. Douglas has been secretary or chairman of the North East England branch for many years and is now chairman of the North and Midlands branch. He is a semi-retired primary teacher, living in Whitley Bay. When not growing dahlias and chrysanthemums on the allotment, he supply-teaches in local schools which brings him into contact with the full panoply of life in the North East. He occasionally bumps into the odd OL when out and about! Married to Sue, he has two sons, the eldest of whom, James (2001) was himself recently married. No grandchildren yet that he is aware of! Iain has been the Chairman, Scotland for the last 4 years. Following a Short Service Commission with the 1st Bn Argyll & Sutherland Highlanders, he spent time within Industry and the Service Sectors latterly as a Sales and Marketing Consultant. He lives with his family in Bridge of Weir and sees OLs during the year either in the village, on the golf course, on the ski slopes or sailing on the Clyde. He is married to Jacqui and they have two kids, two dogs, a cat, a rabbit, two horses and a shared Highland pony called ‘Kia-Ora’. Jack left Loretto in 1982 vowing never to return, after all 10 years at essentially the only school he knew, was deemed sufficient. But in 2007 Sheila Low, aided and abetted by Ben Walker, dragged him back into the fold by offering him the London role, and he hasn’t looked back, revelling in the chance to meet his year group and others as often as possible. Since ’82 Jack spent a enjoyable time at the University of St Andrews before joining Arthur Andersen and qualifying as a Chartered Accountant. He worked with them in the UK, Australia and Poland until their collapse in 2002 and watched as the name above his London office changed to Deloitte, for whom he is now an Audit Partner. Jack lives in Twickenham with his wife (Karen) and daughter (Maddie). He tries to make the most of what London has to offer, is a regular supporter of London Scottish, and an enthusiastic user of social media, connecting with over 80 OLs and a few more from other schools at his time in Edinburgh. Peter was born in Thurso, Caithness in 1967. Initially educated at Halkirk Primary School and Blairmore Preparatory School, he came to Loretto in 1980 where he was in Schoolhouse. After Loretto, Pete went to Napier College where he achieved his B. Eng. (Energy Engineering) in 1989. He then moved to Santa Barbara, California to surf and in 1993 moved to Ventura, California for “better surf” Pete married Helena in 1994 with daughter Sophia born in 1997 and son Liam born in 2002. Pete is currently managing companies in the transportation and electric vehicle business. When not surfing he enjoys good beer and good company! On leaving school in 1991, Steve joined the Royal Navy where he served both above and below the waves. 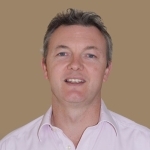 In 2000 he moved to Hong Kong and became a consulting project manager in Hong Kong working for numerous consultancies and corporates in the technology, financial and insurance industries, with a focus on M&A, process alignment and managing complex programmes. He is a founding director of T8, a business administration and services provider that manages a number of large associations and sports clubs and helps smaller businesses setup or expand into Asia. A keen sportsman he is still known to play rugby for the Pirates and hockey for Valley. He became secretary of the Lorettonian Society in the Far East in 2001 or 02 it’s vague and involved a few beers. OL’s old and new are always welcome to get in touch when passing through. Steve lives on a houseboat in Hong Kong with his wife Sharon and children Kyle & Keira. Gavin lives in the East Village in Manhattan, New York. He has been living in the states for the last 11 years of which 5 were in Venice Beach, California. Currently he works in residential real estate sales for The Corcoran Group but also manages to work as an actor when the roles come in! He has a daughter Charlotte who is now 3 years old with his fiancee Andrea. Currently serving as secretary to Pete Miller in California, I have had the pleasure of catching up with some OL's that live nearby. I am glad to report that John Scott and Baz Preston are both doing very well. Justus is a Construction Cost Consultant and works closely with Property Developers in the London Market. He works at Deloitte Real Estate and specialises in the Private Residential Sector. In January 2015 he married Monicka (nee Davey) in Melbourne Australia. His best man was Matthew Wight-Boycott (OL 2000), now a Squadron Leader in the RAF. He is in touch with a number of OLs predominately from his year group. Since leaving Loretto in 2000 he studied General Engineering at The University of Aberdeen and was actively involved in the Officer Training Corp representing the Army in Scotland on tours to Cyprus and getting Army Rugby Colours. In 2004 he decided Engineering was not the career for him and relocated to Edinburgh to study. He still enjoys sport and in 2013 represented RICS Matrics at the Surveyor 7s Rugby Festival in Richmond beating Jones Lang LaSalle in an exciting final that went to extra time. Hannah Rate has now been the Lorettonian Society Membership Co-ordinator for a year. Her years in secondary education were spent at Our Lady’s Convent School in Loughborough and Loughborough High School for girls. She gained a degree (and a husband!) in French from Queen Mary and Westfield University in London. (Husband is Scottish not French!) Hannah has worked at Coopers and Lybrand through their merger with PriceWaterhouse as a Recruitment Specialist. She progressed on to a Resource Manager role at PriceWaterhouseCoopers, and ultimately into HR generalist role. After a few years here, she moved on to Accenture where she worked in both generalist HR and Employee Relations. Hannah then moved from her busy London up to the Midlands and continued to work in Employee Relations at other companies such as the Learning and Skills Council. A move to Edinburgh (driven by marrying the Scotsman!) and three children later, saw her working for the Nursery Chain Bertram Nursery Group for three years as an HR manager. She loves walking, reading, seeing friends and family and history. Hannah is also a keen amateur dramatist and enjoys both singing and acting with a local group. Her three children are Lorettonians; Alex 13, who is in 3rd Form, Marina 11 in Year 7 of Nippers and Ruaridh 8 in Year 5 of Nippers. The family live in Inveresk with their two cats.